First, Alana Vase, Conservation Program Coordinator for the Maryland Sierra Club, and Steven Rivelis, CEO of Campaign Consultation, join us to discuss Hands Across the Sand, a movement to oppose offshore drilling while championing clean and renewable energy sources. Click here for more info about their coordinated actions around the country planned for this Saturday, June 26. 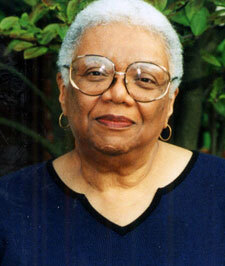 Then, we celebrate the life of poet Lucille Clifton. Clifton, a prolific wordsmith known for deceptively simple poems that speak volumes about contemporary life, the African American experience, and womanhood, served as Maryland’s Poet Laureate from 1979-1985. She died in February of this year. We sat down with friends, colleagues, and fellow poets to discuss her life and work. At 6:30pm Thursday June 24, join poets from throughout Maryland at the Enoch Pratt Library for a tribute to Lucille. For more info, click here.